So this year we were doing a "non-friend" party for my daughter (we try to rotate every other year) but I ended up giving in and letting her take 2 friends to the new Cinderella movie. 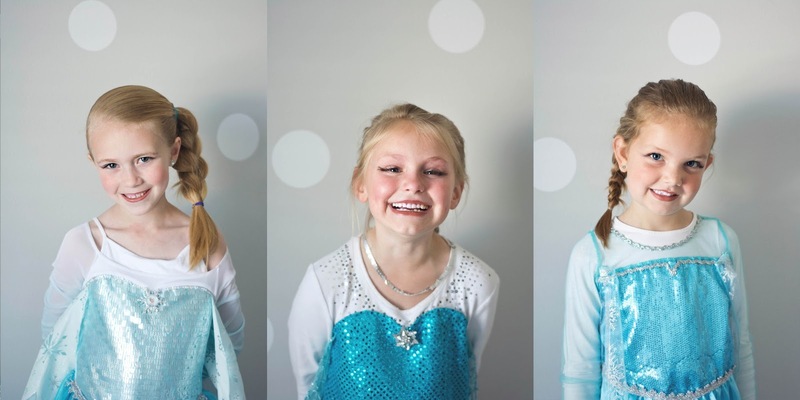 I told the girls they could dress up like princesses if they wanted and I would do some makeup and take some pictures too. Guess who they all wanted to be? Surprised? They crack me up. We had so much fun and I was really surprised at how much I liked the movie.